Poll: Are you glad there won't be an election before Christmas? Frances Fitzgerald’s resignation meant that an election was avoided yesterday. SO, CHRISTMAS IS still on, and we won’t be bothered by politicians knocking on doors on cold December evenings, after Frances Fitzgerald’s resignation yesterday averted a general election. 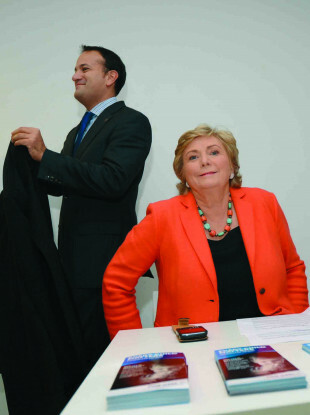 At various stages over the past few days, a pre-Christmas election looked almost inevitable as Taoiseach Leo Varadkar stood firmly behind Fitzgerald, while the opposition refused point-blank to accept anything other than her resignation. With the confidence and supply agreement between Fine Gael and Fianna Fáil having been placed under such strain, it is highly likely that we’ll get an election in 2018. So, today we’re asking you: Are you glad there won’t be an election before Christmas? Email “Poll: Are you glad there won't be an election before Christmas?”. Feedback on “Poll: Are you glad there won't be an election before Christmas?”.